Yamamoto Perpetuo was written by Michael Nyman for solo Violin in 1993 to a commission by fashion designer Yohji Yamamoto for his show that year in Paris. 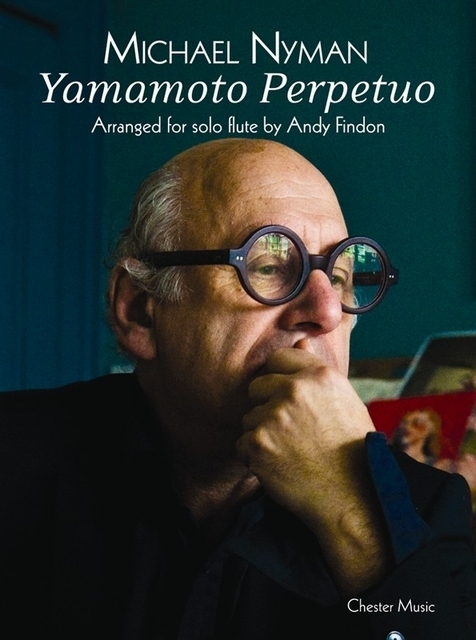 Following its success, Nyman added a second Violin, Viola and Cello to the solo line and turned it into his String Quartet No.4. 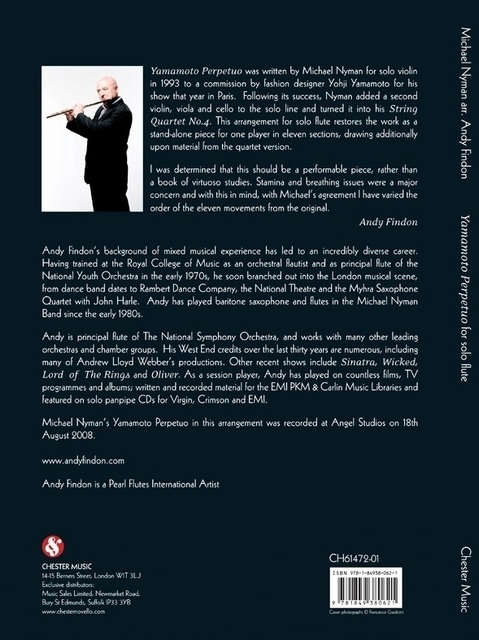 This arrangement by Andy Findon for solo Flute restores the work as a stand-alone piece for one player in eleven sections, drawing additionally upon material from the quartet version.